Maher explains how Hollywood indoctrinates people to a liberal mindset. MUST WATCH. Andrew Breitbart famously said “Politics is downstream from culture.” In other words, once you’re fighting a battle in the political arena, you’ve already lost the war. And he’s 100% right. Hollywood lays the foundation for the outcome of most political fights and (not so) subtly indoctrinates people to the views they want us to have, eg, back in my day, the baddy in the movie was always Russian. That wasn’t a co-incidence. I’ve always been aware that the public is led like sheep to the conclusion that Hollywood and the media wants us to come to, but I have never heard it stated quite so clearly and openly as in this clip by Bill Maher. 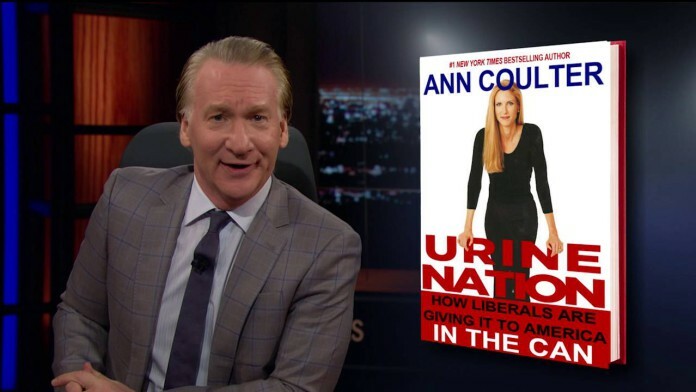 Maher is a far-left Atheist, who openly mocks Christians and Conservatives at every chance he gets. I love listening to him because he’s witty, and because I like to stay in touch with what Progressives are thinking and more importantly, WHY they think that way. Maher’s ends are wrong 90% of the time, but his means are flawless. Next articleGary Johnson loses temper when Interviewer mentions illegal immigration.